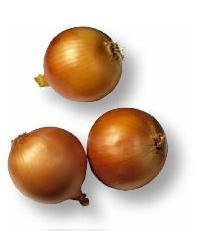 Using a raw onion for bruises is an old and traditional remedy. Onions are great for treating bruises because they have both analgesic (pain relieving) and anti-inflammatory properties. There’s two popular ways to use onions for bruises. One is simple and very straightforward. The other one requires a bit more effort — but appears to be much more effective. Whichever method you choose, it’s important not to place the raw onion over any open wounds or cuts (only the bruise, okay?). The Lazy Method: Slice a raw onion and place it over the bruise. Leave this for 15-20 minutes. The Enterprising Method: Dice a raw onion. Put one half in a bowl and add 2-3 tablespoons of plain salt. Mix this up well. You’ll need some kind of cloth, towel or bandage. (Do this part in the bathroom since it will get messy. ) Apply the onion mixture over the bruise and wrap the makeshift bandage over to hold it in place. Tie it firmly so that the onion mix doesn’t fall out. Leave this on overnight. You’ll find the next day that the bruise (along with the pain and swelling) will have gone down significantly. Scotch TAPE that is. ;-) Before using tweezers to get out a splinter, try a bit of scotch tape first. My relfexologist recommended this. It works WONDERS! I got kicked by a horse and had a nasty bruise. It took 2 nights but the bruise was 100% gone. I have a nasty black eye, can I use an onion on it? I would recommend that you chill the onion first. The fumes will be dormant until the heat of your body warms the onion. Salting the onion also helps. If it gets to be too much, try an eye mask that you can chill. Good luck! We placed a very thin raw onion slice on my 2″ diameter bruise on my very swollen leg then wrapped it with cellophane overnight. The results were successful in reducing swelling and diminishing the color and pain of the bruise. I’m going to add salt to a cold onion overnight for additional results.. I had something a big swollen infection in between my legs for 3 days till I can no longer walk. It was painful so I found out about the onion remedy. I told my husband very sorry but you there is going to be terrible onion smell all night in our bedroom. Luckily, he is a sport and didn’t mind it. I cut the onions round and put them where the swollen skin was wrapped it with 2″ KtTape (this is even better than band aid. It sticks anywhere in your skin. The best simple invention I ever come across and will always have at home). When I woke up in the morning I can’t believe my skin was all healed and back to normal as if there was never an infection there. Unbelievable! So today, I just came from the skin doctor and I have some bruises from the needles he inflicted on my skin. I put ice for 30 minutes but got tired of it after. I need my hands to do some work. So guess what… I put diced onions this time and put the reliable KtTape so I can work lol. I will remove it in couple of hours and hopefully back to normal by the time my husband comes back. The onion remedy in the article was just for bruises and I had NO idea it could work on infections!